The accident was not a life-changing event. It brought physical pain but not trauma. It deformed my shoulder but did not ruin my life. It was, nonetheless, quite a remarkable experience. After all, it was the first time I have ever had an operation, spent some nights in a hospital and had medical leave for a couple of weeks. And the experience gave me some revelations and insights that I would otherwise be quite blind to in my routine daily life. 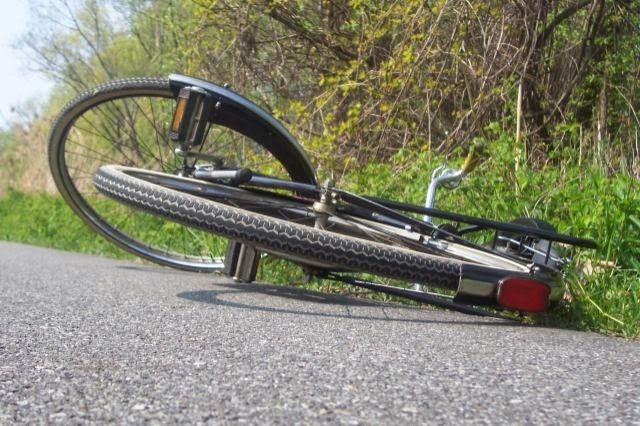 You can never be too careful when biking - Especially on the first few days, I tried to figure out how and why it had gone wrong. Haven’t I been coasting along the same cycling trail for years? Haven’t I been swerving to avoid manhole covers a million times? Haven’t I been biking on rainy days much worse than this one? Why did the bike just skid out of control this wretched time? And why was the injury so bad when the speed was not so high? Slowly, I began to see that I probably shouldn’t just put it down to sheer rotten luck. I should have been more wary of the danger of going biking when the ground is slippery, and the possibility of losing control when the thin tyre is in contact with the rim of the manhole cover on a wet day. The fact that an accident did not take place during the million times before is no guarantee that it will not happen. This is a costly but priceless lesson to learn. The service in the private system, which I was privileged to enjoy thanks to insurance coverage, is an entirely different story. Comparatively speaking, everything in the private hospital was first class, from the comfort and privacy of my room with a good view of the Victoria Park and the Victoria Harbour to the meal to be ordered from an a-la-carte menu. Of course, this has everything to do with money. Just for an indication, the expense of all diagnosis and a day’s stay at a public hospital cost me less than taking one single X-ray photo at the private hospital. Many people are very kind, and they will demonstrate it when the opportunities arise - When the accident put me in the situation where I could do with some help here and then, it gave me the opportunity to experience, and be overwhelmed and moved by, the kindness of others. Examples of such kindness abound, and it did not necessarily come from friends and relatives, such as my mother-in-law preparing three boxes of cooked food so that I did not have to cook for myself while resting at home. There was also this heart-warming experience when I went to the hospital for physiotherapy on a rainy day. I was trying to open my umbrella when one of the two girls standing in front of me turned back and asked: “Can I help you open it?” I realised then that she had thoughtfully noticed how this man with one hand in a brace was fumbling with the umbrella. Without a doubt, the accident was unfortunate, but, like so many other things in life, it could, taken in a proper way, be an eye-opening experience and a blessing in disguise.